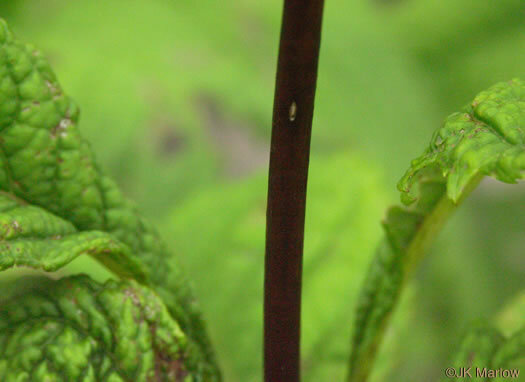 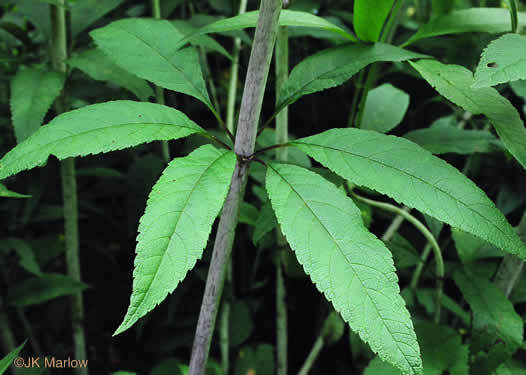 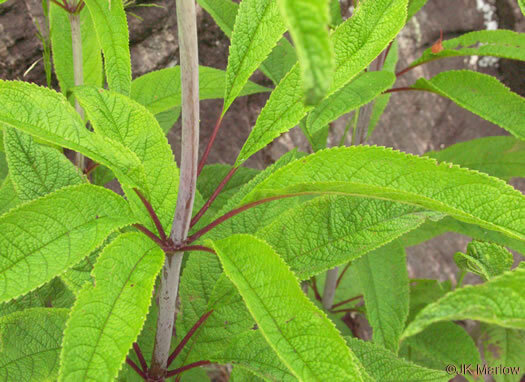 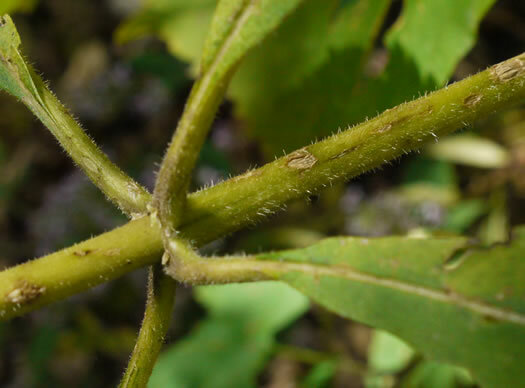 Your search found 7 image(s) of stems of Joe Pye Weed species. 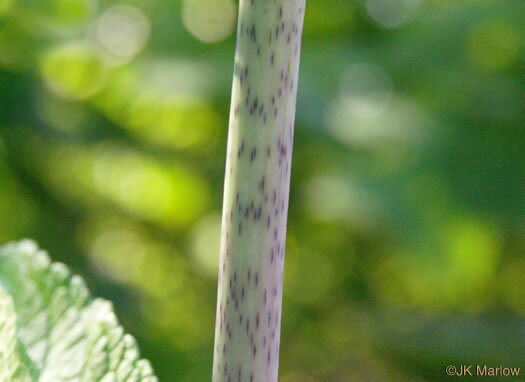 Stem dark purple or at least purple-spotted, per Wildflowers of the Southern Mountains. 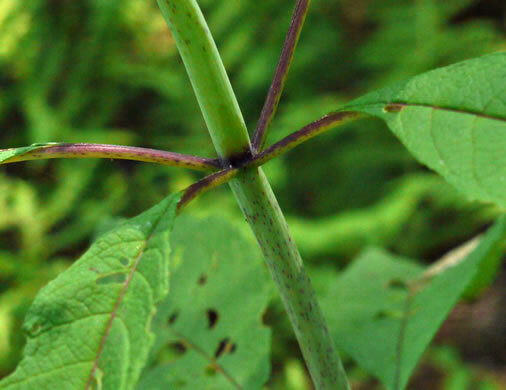 The stem is generally greenish but purplish at the nodes, per Wildflowers of the Southern Mountains. 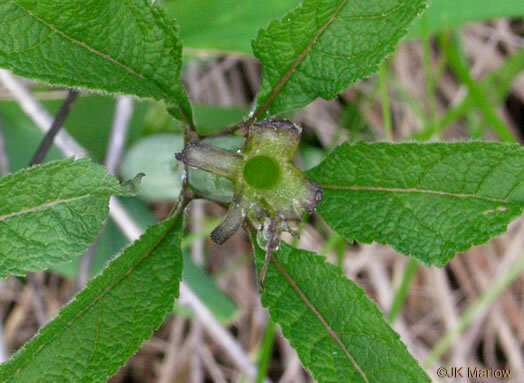 Stem persistently glandular-pubescent throughout, per Weakley's Flora.